Are you looking for a way to enhance the quality of your outdoor living experience? Do you want to make a change to your deck or patio to give it more visual appeal? Do you need a place where you can store those extra potted plants you have? Well, there is one easy solution to achieve all three – add a pergola! They create a definite space: A pergola can add definition to your backyard. You can create an entertainment lounge or a dining area, which is profound, especially if you do not have a deck or patio. If you want a definite purpose in your outdoor area, a pergola is the perfect solution. You get privacy: If you do not like being on display when you are enjoying your outdoor space, you should get a pergola. Although it is an open structure, you can create privacy by adding drapes, latticework, or screens to one side of the pergola. They create additional space for plants: You can add additional garden space in your outdoor area with a pergola. You can hang plants from the boards and create a gorgeous garden in the air. A pergola is also appropriate for plants like clematis, honeysuckle, ivy, wisteria, and grape vines as they grow from the ground up and can create a beautiful natural ceiling as they intertwine themselves in the boards. They give protection and shade from the elements: A pergola can give you a beautiful shaded area where you can enjoy the summer day without worrying about sunburn. If you have a natural roof made of climbing flowers, you instantly get an outdoor lounge where you can relax. There are also pergolas that have an optional canopy that you can open and close as needed. They add value: According to experts, you can add as much as 20 percent to your home with attractive landscaping. Unlike gazebos, pergolas are extremely affordable, but can add immense value to your home. It adds a lot of beauty and interest to your outdoor area, making it a poignant asset if you decide to sell your home. You can combine it with other structures: One of the best things about a pergola is that it can be used as a lead-in to other structures like verandas or gazebos. You could also use your pergola as a lead to a solitary gazebo from your back door, creating an eye-catching outdoor living area. No matter what you choose, remember that this versatile structure does not have to be on its own. In fact, it often works best when combined with other backyard designs. They can be made with different materials: A pergola is an affordable structure that can be built with a variety of materials like metal, cedar, and even vinyl. You can build one that suits your taste, budget, or style of your home. The fact that you have multiple choices means that you can find the perfect one for your home. You can install it easily: If you love DIY projects, a pergola is perfect for you. You will find many pergola kits that come with pre-cut wood and all the required hardware. They are quite easy to install, as long as you have the proper tools and help to get the posts and rafters up. If you prefer getting a professional, there are many landscaping companies that can help you design and build the perfect one for your home. They create a place to entertain outside: Everyone loves outdoor parties and a pergola gives you an outdoor entertainment area that is attractive and versatile. There are many superlative ideas that you can use to create a space where you can get loved ones together, whether it is a dining area or a lounge to sit and share a bottle of wine or sip coffee while gossiping! They are beautiful: It has been mentioned that a pergola is an attractive addition to any backyard. You can make them even more beautiful by adding accessories like hanging pots, lights, curtains, and much more. 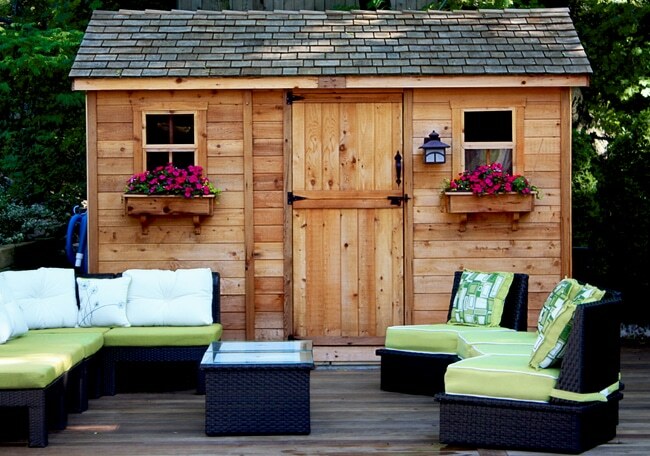 You can create an outdoor living space that you love by adding elements that suit your personality and style. A pergola is an easy yet gorgeous structure that adds a lot of appeal to backyards. You can transform your outdoor area and create a living space where you can entertain friends and family or relax and unwind after a long day. No matter what you use it for, you can be sure that you will love owning a pergola!